It is part of our mission to sustain the openness and sharing attitude of the CHeLabS participants, and we offer the opportunity to join a community and share content. We recognize that your privacy is important. This document outlines the types of data we collect when you use this site, both personal information and content, as well as the modality we use and share them. We hope this will help you make an informed decision about sharing information with us. The website chelabs.idasc.cnr.it is administered by CNR INM (VAT Number 02118311006, Tax Code Number 8005433058). The CHeLabS website collects personally identifiable information from the participants only on a voluntary basis. Personal information may include name, postal address and GPS localization, email address, and general information regarding the field of your expertise. The profile information is not public, but the USER NAME provided in the registration. The USER NAME will become your public nickname and will be visible when you will publish, on our interactive map, a new CH site/element or you will partecipate to the discussion forum in the dedicated area of the site’s information sheet. You can access and change your personal information in the CHeLabS database on the page MY PROFILE, but your user name (nickname) that can be no more changed after the registration is complete. This information is collected at the registration to join our email list, to participate to our survey, and request some information from us. The information collected is internally reviewed and used to verify the reliability of the content, notify our visitors about new updates, and respond to visitor inquiries. Personal information received from any participant will be used only for internal purposes concerning the project and will not be provided to third parties. 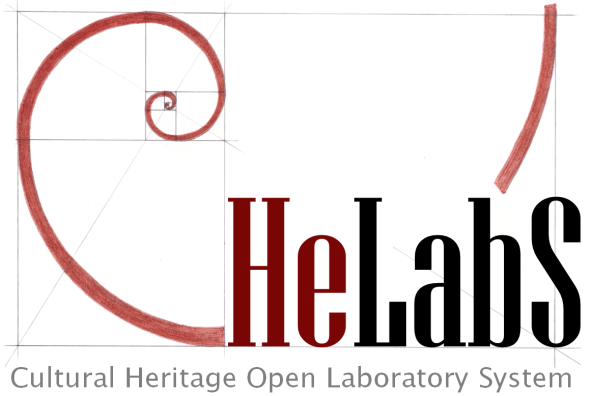 The CHeLabS survey collects the participants’ responses and uses the information only for statistical analysis, and to build the system of the heritage sites/assets suggested by our community. The CHeLabS website offers the opportunity to share uploaded content, concerning sites belonging to the cultural patrimony of particular interest for the community. Site information may include name, postal address and GPS localization of the sites, images, specific elements constituting the heritage assets, characteristic risks, characteristic deterioration processes, references and links to available information constituting the current knowledge base. The content is used for the scope and aims related to the project, and will be visible to the registered participants and partially to the other visitors. The participants are responsible of the accuracy of the uploaded content. The CHeLabS management may verify the reliability of the provided information, and may adapt them in order to improve their understanding. The amount of information resulting from the contributes, shared on the website, is visible to all participants, and is property of the CHeLabS project. It is possible to delete the personal account from the mailing list by sending an email to chelabs@idasc.cnr.it, and you will not receive any communication in the future. However the shared content regarding the heritage sites/elements on the interactive map will remain visible to other visitors. Information submitted through the CHeLabS website can be corrected or deleted from our records by sending an email to chelabs@idasc.cnr.it. This email address is available for sending any other comments or inquiries. All data encompassing personal information and shared content are stored on our servers localized in the CNR Research Area Roma 2 – Tor Vergata [http://www.artov.rm.cnr.it/servizi-informatici/] until the end of the project. If you do not agree to this policy, as described in this document, please do not use this site or any funcionality available on this site.